Swarm Blog: Android Game Bubble Shoot Makes a Splash! A new Android game called Bubble Shoot by developer App Cup is making a splash on Google Play thanks to its gorgeous graphics and enjoyable gameplay! 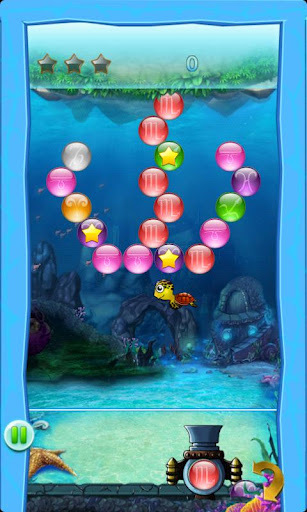 In Bubble Shoot, players must match up groups of three or more same colored bubbles to clear the playing field. By simply aiming with the tap of a finger, shooting, and matching colors, players can enjoy hours of action. Android game Bubble Shoot contains three different game modes, puzzle mode, classic mode, and arcade mode. In puzzle mode, players are given 4 episodes (containing 100 levels each) to enjoy, while Classic mode offers 1 episode of 100 levels, and Arcade mode is never ending. 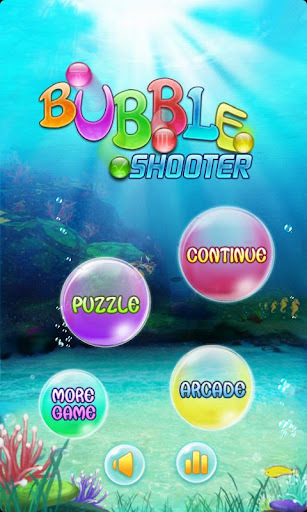 Bubble Shoot game players can also enjoy some social features such as tracked game statistics, global leaderboards, and achievements (powered by Swarm). It offers a nice social touch to an otherwise individual experience. If you've ever played Bust-a-Move or similar games, you're sure to enjoy App Cup's Bubble Shoot. The graphics and fun game play alone make this Android game worth your time to check out. Get Bubble Shoot from Google Play today! It's free!